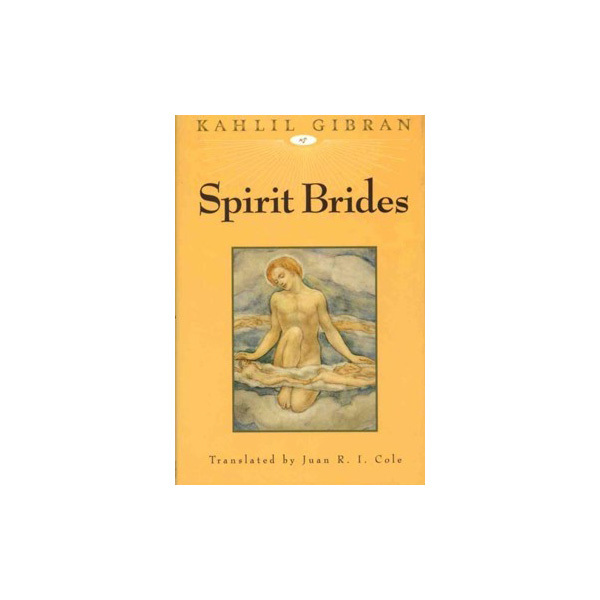 Juan Cole’s stunning and lyric translation of Spirit Brides revives Gibran’s passionate stories of spiritual transcendence through love and suffering. Spirit Brides is classic Gibran with stories that depict life in late nineteenth-century northern Lebanon and serve as Gibran’s vehicle for discussing religious and ethical themes. This book is a collection of three short stories, in which Kahlil Gibran portrays his belief in the overwhelming power of love in human nature. In “The Ash of Centuries and the Immortal Flame,” Gibran describes a love that unites souls beyond time and social restrictions. “Marta al-Baniyah” expresses Gibran’s views on the exploitation of women and the poor. He then makes a cutting commentary on the contrast between the ecclesiastical hierarchy and the simplicity of the teachings of Jesus in his final story, “Yuhanna the Madman.”Juan Cole’s stunning and lyric translation revives Gibran’s passionate stories of spiritual transcendence through love and suffering.